As the hardworking staff has repeatedly noted, Wall Street Journal columnist Jason Gay gets New England sports like few others. Most delightful renaissance in the NFL right now? Easy. As in Gronk, Rob Gronkowski, New England Patriots tight end, Bill Belichick’s human bouncy castle. Six-foot-6, 265 pounds, galloping straight at you in the open field like a pony who just broke loose at a children’s birthday party. Tackle him if you can. Better advice: Hide under a picnic table. Best advice: Read the whole piece. 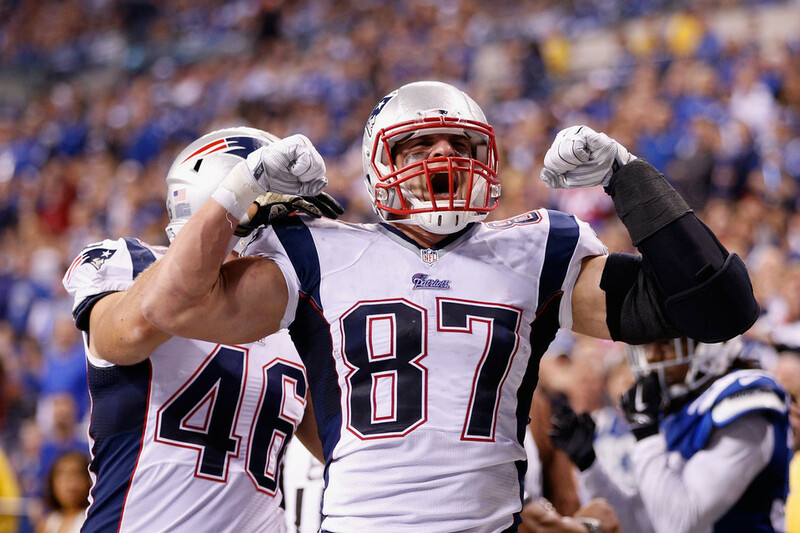 People love the Gronk’s, well…Gronkness. Gronkowski shows up for every NFL game looking like they let him out of school early for a pool party. Brady this week referred to Gronkowski’s “positive enthusiasm,” but that’s blandly selling it short—Gronk enthusiasm is the kind of big-eyed enthusiasm that’s reserved for sneaking all of the principal’s office furniture out onto the 50-yard line, or making it to 8 a.m. in Vegas. (”Hilarious too-muchness” is how Grantland’s Wesley Morris once described it.) Part of me would love very much to drive across the country in a bus with Gronk. The other part of me would jump out as we were pulling out of the driveway. Us? We want to drive cross-country with Jason Gay. This entry was posted in Uncategorized and tagged Bill Belichick, Grantland, Gronk, Hilarious too-muchness, Jason Gay, New England Patriots, Rob Gronkowski, Tom Brady, Wall Street Journal, Wesley Morris. Bookmark the permalink.